Landscaping with plants – what we in the industry call “softscaping” – is a beautiful and effective way to improve your home’s comfort and curb appeal. Outfitting your property with trees and shrubs is also more affordable than many other potential home improvements. Still, more and more homeowners are implementing hardscaping into their landscapes. A custom hardscape can become just like another room of your house and can be outfitted with anything you can imagine. If you’re looking to make a lasting investment in your home and enjoy your house more while you live there, hardscaping is the way to go. It’s challenging to add function to your house by adding plants. They may purify the air, have aroma-therapeutic benefits, ward off insects, or add privacy, but they’re unlikely to empower you to enjoy a new activity in your space. Hardscaping, on the other hand, can create areas similar to those inside in order to maximize the outside. An outdoor kitchen can add a professional-grade grill or pizza oven to your home. A fire pit extends the season and becomes a gathering place for friends and neighbors. A deck can enable any number of indoor activities – dining, playing games, or watching TV – outside instead of in. A well-done hardscape built by an experienced contractor can be expected to retain its aesthetic appeal and value for decades. No mowing, pruning, or watering required! Most hardscapes are ultra-low-maintenance and can simply be kept clean and occasionally hosed down to stay in tip-top shape. Depending on the environmental conditions of your property, hardscaping can prevent damage from the natural passage of time. If erosion is likely, stone or concrete walls or barriers can keep the ground intact. A well-planned hardscaping project will also prevent water pooling and give excess moisture a proper escape route so that it doesn’t exacerbate erosion. Any landscaping project can be considered an investment in your home or property, whether its purpose is to add visual appeal or to extend your functional living space. Hardscaping is particularly valuable because it’s a more permanent solution, and by implementing higher-quality materials into your project, you only protect your investment. Once your patio, retaining wall, walkway, or deck has been added, it remains part of the home indefinitely. It doesn’t have to be refreshed or redone every year. And it will likely increase your enjoyment of your home for the entire time you live there! Ready to see the benefits yourself? If you’re in Northern Virginia and ready to incorporate hardscaping into your landscape, we invite you to request a quote from NOVA. We have the expertise, experience, and resources to bring your vision to life and add lasting value to your home. 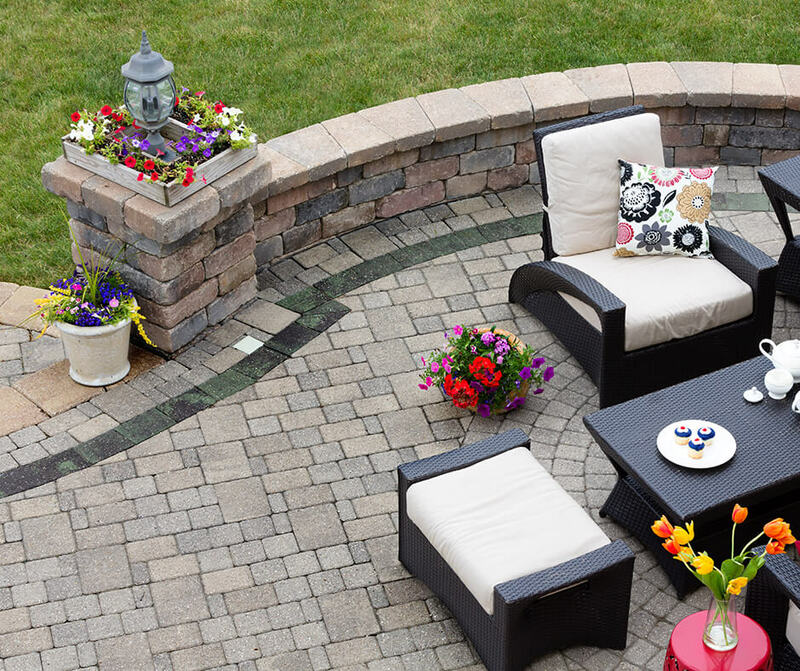 NOVA Landscape & Design makes the yard of your dreams a reality. From retaining walls to entire outdoor living spaces, our staff has over 20 years of landscaping expertise in Northern Virginia. I really respect a person who stands behind a service like this, and he will have all my future landscaping and nursery business. Copyright © 2019 NOVA Landscape & Design. All Rights Reserved.